Bencini assiduously and meticulously examines in detail each and every electoral result; examining whether in each electoral division candidates were elected with or without a quota. 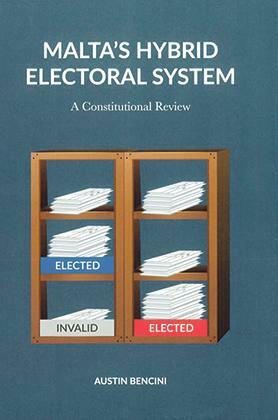 This work by constitutional scholar Austin Bencini is a must-have for all those who are experts in the field but also for the ordinary reader who has an interest in Malta’s electoral system. It is by far the most extensive study ever made of the system and how it has worked in Malta throughout the past century; in particular the book studies the effects of the system on each electoral result since 1921, namely around 24 general elections up to the most recent one, that of 2017. The proportional representation electoral system by means of the single transferable vote (STV), entrenched in the Constitution as Malta’s electoral system, has been used in all elections, whether general, European or local. Even the members of the smallest local councils, such as Mdina or Fontana, are elected by means of this system. The author explains the merits and demerits of the system, the method by which it was introduced, analyses its historical origins, the political controversies which arose with its introduction, and how it has shaped Maltese poli­tics in the past 100 years. The question any scholar on electoral laws and systems asks himself is: do electoral systems shape politics or is it the other way round? There is no doubt what the British colonial authorities had in mind when they introduced this system in 1921, just a year before it was introduced in the Irish Free State Constitution in 1922: to protect minorities. Since in Ireland and Malta the majority supported the nationalist movement, the intention of introducing this system, rather than the British one of first-past-the-post, was to prevent a winner-takes-all situation where the nationalist movement would sweep and win all or most of the seats in the Legislature. For this reason, both in Ireland and Malta, the system was opposed by nationalists in both countries and seen as the proverbial ‘divide and rule’ approach of the British imperial authorities. In Malta the system was vehemently opposed by the National Assembly convened between 1919 and 1921 under the chairmanship of Maltese patriot Sir Filippo Sciberras, which embraced most of civil society at that time, and was dominated by the nationalist intelligentsia. Bencini examines in detail the debates of the Assembly on the subject of the introduction of STV and the respective positions of Enrico Mizzi, one of the secretaries to the Assembly, and the nationalist movement in general. Even when experts from the Proportional Representation Society in the UK, such as Morrison-Bell, met Assembly members to explain the merits of the system, the answer was a defiant no. While Britain at that time adopted the first-past-the-post system – and still does so today – it was introducing a different system to the colonies that were about to be granted a measure of self-government. The nationalist movement was even more irked by the fact that in the previous elections for the so-called Council of Government un­der the 1887 Constitution, prior to the attainment of self-government, the so-called scrutin de liste, similar to the majoritarian UK system, had been applied ‒ with results fa­vour­able to the nationalist movement. As Bencini states, the position of the Assemblea was that “the advance of a pluralistic democracy in Malta would be to the detriment of the political cohesion sustaining the national unity deemed necessary to continue its efforts in regard to its Imperial Sovereign.” (p.50). Bencini also analyses other arguments that were opposed to the system when introduced such as that it was too complicated for voters at a time when illiteracy was extremely high, and that it was difficult to count in a relatively short period of time. The 1921 general election result saw no party gaining an absolute majority of seats, with four parties in the newly constituted National Assembly, namely the Unione Politica Maltese (UPM) which emerged as the largest party, the Partito Democratico Nazionalista (PDN) led by Enrico Mizzi (which in 1926 joined UPM to form the Na­tionalist Party [PN] as we know it today), the pro-British Constitutional Party (CP) led by Sir Gerald Strickland, and the fledgling Labour Party, which got a good result in its first foray in local politics (seven seats). So from the very first election, STV protected minority parties and has done so all throughout its existence even though in the first election, that of 1921, all the Gozo seats were taken up by the PDN of Enrico Mizzi. Bencini assiduously and meticulously examines in detail each and every electoral result. He examines whether in each electoral division candidates were elected with or without a quota. He divides party results within a district in the following manner: a district majority where one party gets an absolute majority of seats with a quota; a marginal district majority where a party gets a majority of seats but elects one seat without a quota; and an open marginal district where most of the successful candidates are elected without a quota. The proposition has been made recently that the system should change because it does not favour smaller parties. I challenge this pro­position, for in all the elections held from 1921 to 1966, there were al­ways at least three parties represented in Parliament, except for the solitary case of the 1955 ‘Integration with Britain’ general election. It is true that in the subsequent post-Independence general elections only two parties have been elected to Parliament, but the system has remained the same. It is the voters’ trends and attitudes which have changed in favour of a basically two-party system. Bencini shows that the STV system favours strong regional parties. Where a political party concentrates its energies and efforts in one electoral division and gets one-sixth of the valid votes cast in that district, it is ensured a seat. This was shown in the 1947 elections, where in spite of Labour’s 59 per cent landslide result, none of the mainstream parties, Labour or Nationalist, were elected in Gozo, and instead the re­gional Gozo Party led by Dr F. Masini, and the Jones’ Party, headed by Henry Jones, got all the five Gozitan seats in the Legislature. Minorities, particularly if strong at the regional level, were protected by STV even when a majority party won by a landslide. The smaller parties always argue that if one were to add all their first preference votes in all divisions these would constitute an electoral quota. They also argue that in theory one could get just slightly less than 16.6 per cent of the vote in all districts and fail to elect one seat. In theory this is true, in the same way as in the UK a party could theoretically get 49.99 per cent of votes and fail to elect one member to the House of Commons! In ac­tual fact, the other side of the coin is that if a party gets 16.6 per cent of valid votes cast in one electoral division, even if this may amount to only 1.2 per cent of the national vote, such party would secure one seat in Parliament just the same. The final part of Bencini’s book is dedicated to the introduction of the three corrective electoral mechanisms in 1987, 1996 and 2007 to adjust electoral results when the STV, because of gerrymandering or any other cause, produces an unfair result, namely that a party is more disadvantaged than another in the distribution of seats, producing a perverse result. Except where the disadvantaged party is the party that obtains an absolute majority of votes, the corrective mechanism triggers off only when two parties are elected to Parliament. This was the argument put forward by Eddie Fenech Adami in a famous electoral rally at Luxol grounds in the 2003 general elections, crucial to Malta’s admission in the EU, namely, that if the PN were to fail to get an ab­solute majority of seats and a third party is elected, the districts would prevail over the actual votes. The situation is still so today. These corrective electoral mecha­nisms produce additional seats, and when assigned to particu­lar candidates the latter are considered as full members, as if they were elected in the election proper, to the extent that if a casual election were to eventually arise as regards one of the additional seats, the usual procedure of opening and re-examining the votes at the last general election accredited to such person (rather than a co-option) is adopted. This equality in ranking of additional seats was confirmed by the Constitutional Court in March 2013 to the extent (perhaps exaggerated) that where two Nationalist MPs tried to argue that they should have been elected in the election proper rather than being assigned additional seats, the Court ruled that they had no juridical interest to propose such an action, because they were already MPs like the others who were elected in the election proper. The author describes the system as hybrid, with the adjustment of the corrective mechanisms. It is composed of STV upon which is grafted the three corrective electoral mechanisms. 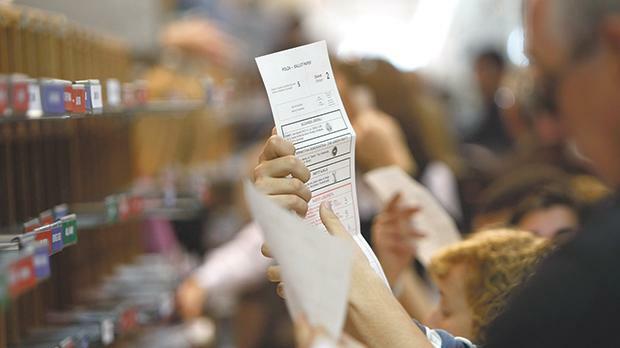 Malta has therefore shifted from a purely STV to a combined STV and corrective mecha­nisms in order to address the malfunctioning of STV when and where electoral districts are drawn up in a way to guarantee more vote wastage to the party in opposition than the party in government. I subscribe to these views and add my own: Bencini’s work has en­riched literature on Maltese constitutional law. The dearth of works in this field has been substituted in recent years by a series of works which help lawyers and laymen to understand the Constitution better. Bencini’s most recent work is one of these, and enjoys a pre-eminent place among all books published on constitutional law. An excellent work by a dedicated constitutional law scholar. Tonio Borg is a former European Commissioner, and lecturer in public law at the University of Malta.